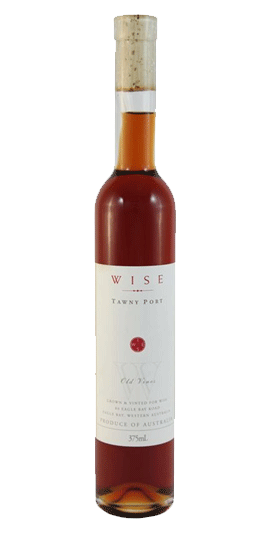 Wise Wines is a family owned boutique vineyard, whose philosophy in the vineyard is based on sustainable farming practices, nurturing the soil and the vines to produce fruit with distinct varietal characteristics. Our winemakers strive to complete the process that was begun in the vineyard by guiding and protecting the nuances of the fruit with great care and minimal intervention. Select parcels of Barossa Valley wines are aged in hogsheads to develop a rich tawny colour through oxidization make up this blend with an average age of 15 years. This wine is showing delicious aromas of spicy fruit cake with a palate of luscious and intense raisin, caramel and rancio flavours. Enjoy this wine with any dessert or fine chocolates.